What has scales and is giving out $200 worth of MANA?? CoinGecko!!!! We're Giving away $200 in MANA Tokens!! Calling all the 3D builders, artists, and anyone wanting to try their hands on building the metaverse. 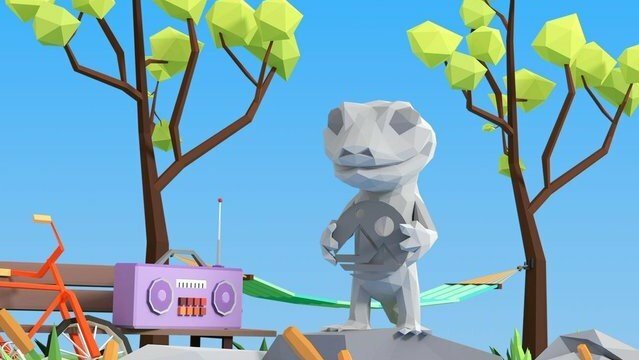 @coingecko is looking for the most creatively designed Gecko in the Decentraland Builder Contest!! Up to $200 worth of MANA tokens is for grabs specifically for the most impressive Gecko. We're accepting designs and submissions via Twitter, so make sure to tag us (https://twitter.com/coingecko) on your tweet when you show off your VR Gecko! Don't forget to submit on the Decentraland Contest as well for more prizes as we will be going through all submissions using the Gecko item there. Only a few days remain as the contest ends on 31 Mar 2019 23:59 EST. Please consider voting @coingecko as a witness on Steem! You can read more about our witness campaign. Wow!!! This is good news @coingecko....quickly let me see how I can make it. Thanks for this info. @decentraland has ample resource and documentation on how to build on top of their SDK. my vote goes to Gecko ET - awesome! Really very good news, how can i make this? wow dear friend @coingecko that's really good news for all crypto lover. Great news for all, thnx for share this news with us. coingecko you always post about cryptocurrenc. i like this type news.thnx for sharing.. Thanks for share this great news for all crypto lover.